Wednesday marks day 12 of the partial government shutdown. 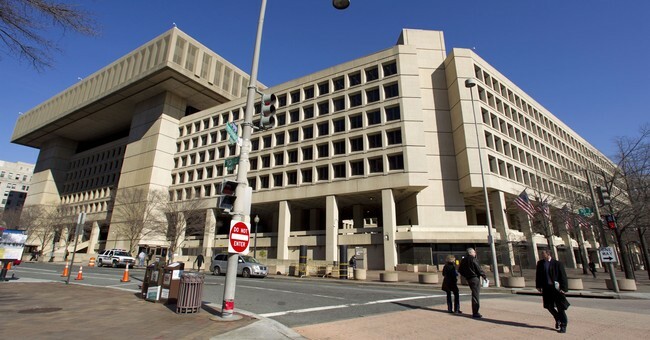 Thousands of federal employees are going without pay, including thousands of special agents at the FBI. The FBI Agents Association delivered an urgent message Tuesday asking Washington to find a solution so they can start receiving their paychecks again. FBIAA President Tom O’Connor issued the statement Tuesday. “As the country celebrates the New Year, the American public can be assured that the FBIAA’s membership—which includes nearly 13,000 Special Agents of the FBI are on the job 24-hours a day, seven days a week to protect our country from criminal and terrorist threats. These men and women are doing so while facing a confluence of policies and gridlock that are causing financial hardship for Agents and their families. FBIAA members and others are currently working without pay or paid leave because of a fourth government shutdown in five years. The FBIAA calls on elected officials to work together to end the shutdown and restore Agents’ pay. Additionally, FBIAA urges Congress and the White House to provide fair wages and tax treatment to Special Agents. Due to years of pay freezes, federal employee pay lags significantly behind the private sector, and this disparity makes it more difficult to recruit skilled professionals to government service. At a minimum, the 1.9% pay increase for federal employees that the Senate passed with over 90 votes should become law and applied retroactively to 2019 wages when the shutdown ends. Special Agents can be transferred to different offices around the country and the world to meet the needs of the FBI. The 2017 tax law eliminated the moving expense deduction, which offset the relocation expense burden for Special Agents and their families. As a result, moving reimbursements are now considered taxable income. FBIAA urges Congress to enact legislation to provide tax relief to Special Agents similar to the bipartisan Relocation Expense Parity Act that was introduced during the last Congress. Other federal employees have sued the U.S. government over the shutdown. The American Federation of Government Employees union filed a lawsuit Monday arguing it is unfair to force thousands of "essential" employees to show up to work without pay. Many of those "essential" employees work for the Department of Homeland Security and the Department of Justice. "Our members put their lives on the line to keep our country safe," AFGE President J. David Cox Sr said about the lawsuit. "Requiring them to work without pay is nothing short of inhumane." Democrats plan to vote on legislation Thursday they say would end the shutdown, but it's a "non-starter" for Republicans because it does not fund the border wall. President Trump remains adamant that border security cannot exist without the wall.